If you live an outdoor lifestyle, wouldn't it be helpful if you could find new and innovative outdoor gear, food, apparel, tools, and other items for prices that will not be breaking the bank? Luckily, we have a good one for you guys today. We have brought to you our list of what we believe to be the top 7 best outdoor subscription boxes. 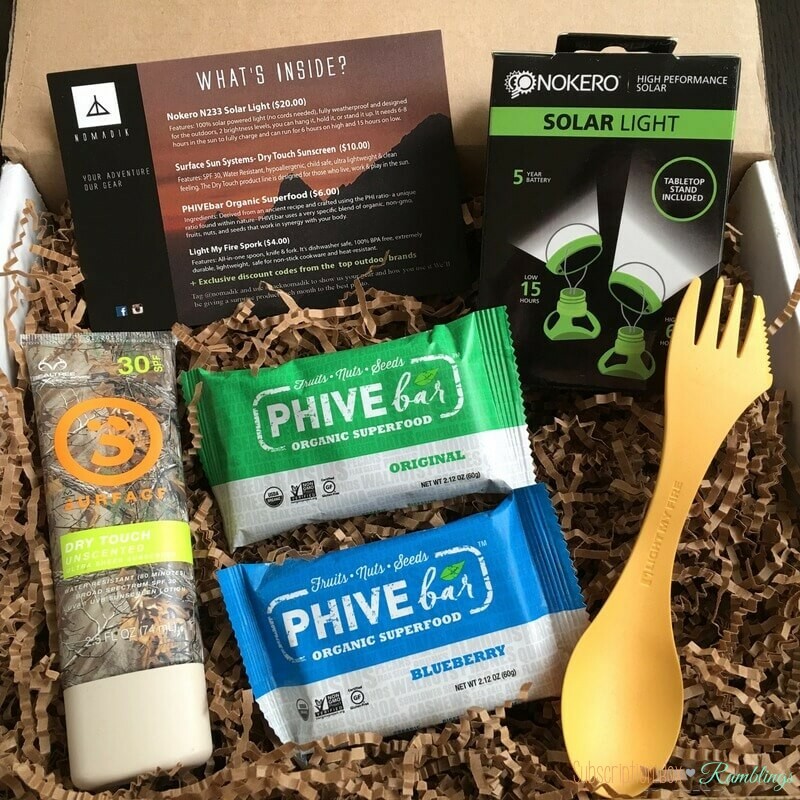 It does not matter if you are an avid hunter or fisherman, or a camping and hiking fanatic, there is an outdoor subscription box out there that is perfect for your needs. Outdoor subscription box services send assortments of great gear, equipment, foods, and other items right to the doorstep of your home. Value for Price, product selection, customer service, customer reviews/perception, and quality. Value for Cost: Value for cost is one of the most important things that we look when we are rating subscription boxes. Value for cost will help you determine if it is actually worth it to subscribe to any specific box, or simply go to the store and individually buy the same items. That is, of course, if the items are available elsewhere. There should be some sort of incentive for subscribing. We look at the lowest prices you could possibly be paying with each snack subscription box, the average price, and the cost of the in-store cost of each item. 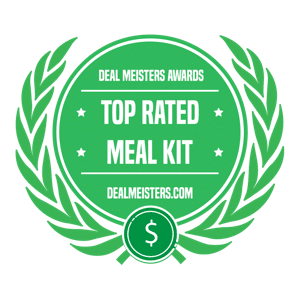 Customer Service: In order for any subscription box to receive a high rating from Deal Meisters, customer service is critical. Customer service aids you in moving along with your subscription in the smoothest way possible. Customer service takes care of cancelling subscriptions, managing subscriptions, and addressing any questions or questions that you may have. Customer Reviews: For most subscription boxes, you will find reviews left by the customers themselves in various places across the internet. We dig deep into customer reviews to see what people are saying about whichever subscription box they have subscribed to. We make it a point to get the opinions of real customers, so that you can be even more confident that you are subscribing to a reliable subscription box company! Using our rating system, we have put together a list of the top 7 best outdoor subscription boxes. We have sorted them in order of "best overall rating." BattlBox is an outdoor subscription box service that is one of the most well known and established survival subscription on the market. After you get signed up, you will have 4 different box options to choose from: Basic, Advanced, Pro, and Pro Plus. Every month, you will receive hand selected survival tools, emergency supplies, tactical pens, edc gear, and many others. You will also receive premium products such as concealed weapon carry holsters, watches, blades, tactical belts, and other items. The amount of items you receive depends on the box you choose, of course, but all are great choices! You can get started here, or find even more information in our BattlBox review! Who Should Try It: For those of you who would like to their prepped arsenal to be continuously updated, BattlBox is a great opportunity! Deal: Join today and get 10% off your order when you use to code COMEBATTL at checkout! 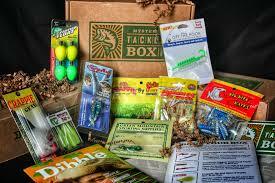 Mystery Tackle Box is an outdoor subscription box service that offers an extensive selection of fishing products such as tackle and bait. In the signup process, you will have the choice between the regular and pro package. Each type of package has its own purpose, as well as species that it effectively targets. From ice fishing to reeling in a big catch at your local lake, they have a package for just about any need a fisherman could have. With Mystery Tackle Box, you will always be discovering new tackle, as well as saving up to 40% on new baits! Sound like a good deal? Click here to get started, but if you need some more information, we encourage you to check out our Mystery Tackle Box review. Who Should Try It: Mystery Tackle Box is a fun way to discover new fishing products each and every month that you otherwise might not find! Deal: Join today and get $5 off your first order with code MONTHLY5! Lucky Tackle Box is an outdoor subscription box service that offers a great selection of fishing products. Not only do they offer bait and tackle, but they target fishermen who are trying to do whatever it takes to elevate their fishing game. In order to do so, Lucky Tackle Box offers educational fishing videos and literature that includes tips on how to be a more successful fisherman. They have literally nailed it down to every type of fisherman there is. Lucky Tackle Box also helps ensure that the tackle selections that are available to you are the best for your most frequented region(s) during your fishing adventures. They are a very professional business with a great customer service team that is always ready to assist you. Click here to claim your first box! 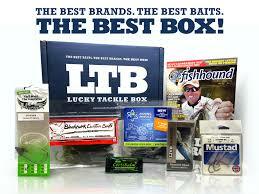 You can also check out our Lucky Tackle Box review if you need some more information! 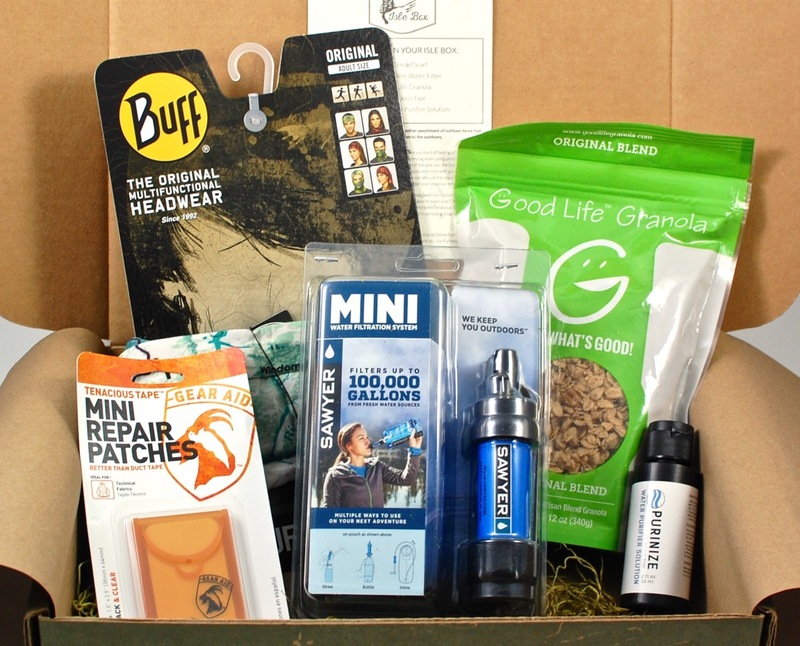 Who Should Try It: If you are an avid fisherman, this might be the perfect subscription box for you! Deal: Join today and add a bonus lure to your box for free with promo code FREELURE. Cairn Box is an outdoor subscription box service that delivers a great collection of camping supplies and other outdoor gear right to the front door of your home! It is specifically tailored to your activity preferences, ultimately inspiring you and your family to get outside and reconnect with the world around you. They offer standard boxes, but for the most part, Cairn Box tries to customize your box to fit your recreational activities and interests. Cairn Box's goal is to provide you with products that you value and will use. Need some more information? Check out our Cairn Box review. If not, you can get started here! Who Should Try It: The Cairn Box subscription is not only for serious outdoor enthusiasts, but it is also great for families who are looking to spend some leisure time outdoors! It is a great choice for for hikers, bikers, and people who just want to get out and connect with nature. Deal: Join today and get free shipping for any order within the United States! Nomadik is an outdoor subscription box service that offers amazing products for outdoor, adventure seeking enthusiasts. Each month, there is a different outdoor themed box that has 3 to 5 high end and unique items that will be perfect the next trip you take. They even offer a great rewards system in which you earn points for signing up, renewing your subscription, and refer your friends. You can build up your points and use them for free boxes and other gifts. They offer new gear, tools, food, knowledge, and inspiration. If you do not like what you get, you can simply send it back to Nomadik for a new item that is completely free of charge. We really love what Nomadik has to offer! Who Should Try It: If you like the idea of getting a different themed box every month that is full of awesome outdoor products, this is an awesome opportunity for you! Hiker Crate is an outdoor subscription box service that specializes in hiking adventures. 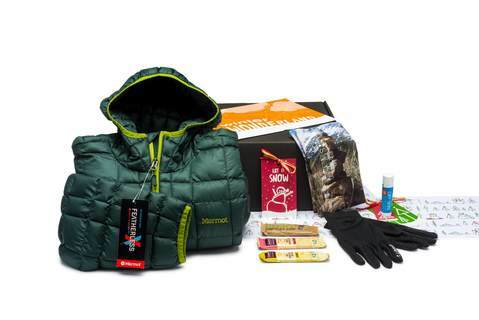 You receive a box every month that is filled with high quality and useful hiking gear and tools. They also include snacks to keep you fueled up during your adventure! Hiker Crate works directly with the best & newest outdoor and snack companies to bring their products to you! Each Hiker Crate will have between 5 to 8 outdoor products including hammocks, headlamps, dehydrated meals, trail mix, jerky, trail bars, and all kinds of other outdoor gear. 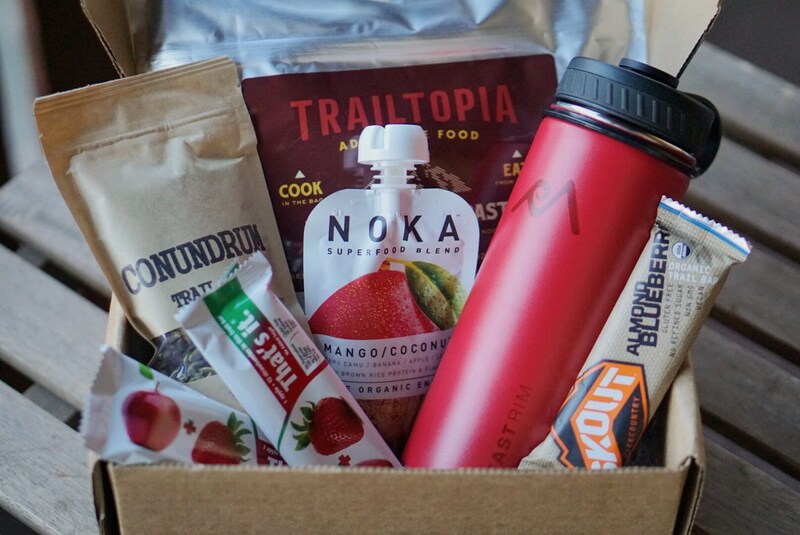 Who Should Try It: Hiker Crate is perfect for people who are searching for affordable way to get top quality outdoor products and healthy snacks! Isle Box is an outdoor subscription box service that offers brand name outdoor gear that is great for your next outdoor adventure! Every month, Isle Box changes the theme of their box. We really love that they keep you guessing what is next, because you can always rely on it being high in quality. Each box includes a high quality item, a secondary item, a snack, and an auxiliary item. Furthermore, if you are not interested in committing to a subscription, you have the opportunity to make one time purchases. We really love this, considering most other subscription boxes do not offer one time purchases! Who Should Try It: If you are looking for an outdoor subscription box that offers name brand products, this might be a great opportunity for you! Also, if you are looking to make one time purchases, you have the opportunity to do so with Isle Box. So there you have it! You now have enough information to decide which one of these awesome outdoor subscription boxes is perfect for your needs! We are confident in saying that you will be pleased with any of the subscription boxes on our list! Have fun on your next outdoor adventure while enjoying what your outdoor subscription box has to offer! 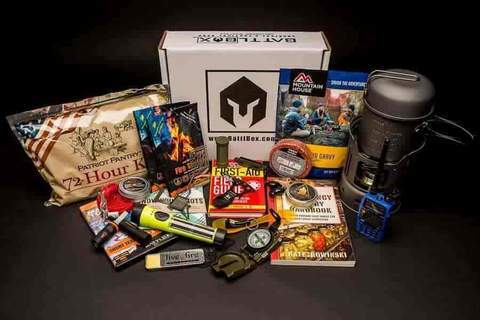 Hiker Crate, in my opinion, is a terrific outdoor subscription box. The snacks were delicious and I enjoy getting new gear each month. I’ve recently started hiking again so this is a great way to add some new gear to what I’ve already collected. Thanks, Steve for your feedback! Happy to hear you’re a satisfied subscriber. Cairn Box is a terrific monthly subscription box for anyone wanting to enjoy the great outdoors. I get excited each month when my new box arrives. Can’t wait until this weekend to get out and use some new products. Thanks for your feedback, Richard! Hope you do have a great weekend with your new products. Bought the Nomadik Subscription Box for my husband as a birthday gift. He was really happy and so far has enjoyed it very much. All the items have been very useful and very good quality. Thanks, Jess for the feedback! I’m really happy to hear your husband has enjoyed his subscription to Nomadik. Great idea for a birthday gift! Received my last Nomadik subscription box and I was very pleased. I think you get a great deal for the price. The items were very good quality, and I can’t wait for my next camping trip. Thanks for sharing your feedback with us, Mary! Hope you have a fun camping trip with all your new items.